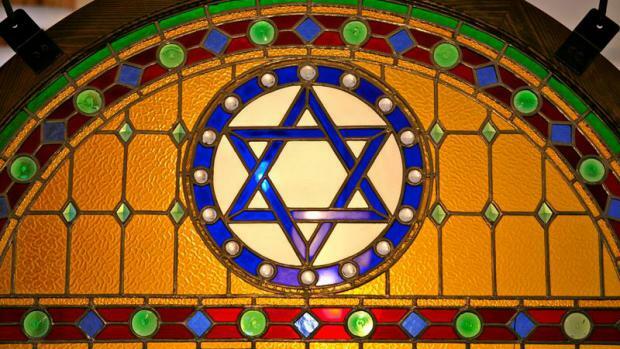 HB 741, which would specify that the term "religion" include anti-Semitism for purposes of the hate crime statute, among other things, passed unanimously in the Criminal Justice Subcommittee Tuesday morning. Rep. Fine told members of the Criminal Justice Subcommittee that he filed the bill in response to a recent uptick in anti-Semitism. "As we have seen in recent weeks, unfortunately, anti-Semitism is alive and well in this country," he said. "You can see it in the mainstreaming of certain language that's been used in Washington D.C."
"I'm not Jewish, but I stand here with Fine because it doesn't take being Jewish to know what's right and wrong," Rep. Caruso added. "Anti-Semitism is a genocidal hatred that led to the death of over six million Jews, and it didn't end with the Holocaust." Fine said the bill, with an amendment introduced Tuesday morning, will do three main things: "The first thing that the bill will do is it will take the federal definition of anti-Semitism, the most widespread used definition of anti-Semitism in the world, and make it the Florida definition of anti-Semitism. The second thing the bill does is it requires all K-20 public institutions treat anti-Semitism in the same way that they treat racism on their college campuses, identifying the intersectionality of racism and anti-Semitism. And then the last thing that it does is it says that as it comes to our educational policy, you can't discriminate on religion of any kind as it relates to our public educational institutions." The bill also cites what it calls "examples of anti-Semitism related to Israel," which includes "blaming Israel for all inter-religious or political tensions" and "focusing peace or human rights investigations only on Israel." "In modern times, anti-Semitism is sometimes disguised as anti-Zionism, anti-Israel. But the two often overlap," Tallahassee Rabbi Shneur Zalman Oirechman told lawmakers. "And while one can criticize any government, make no mistakes, attempts to delegitimize Israel, the State of Israel, and calls that Jews do not have the right to self determination in their own land are anti-Semitism"
Anyone listening in on Tuesday morning's discussion might be under the impression that HB 741 has no opposition, but that's not the case.